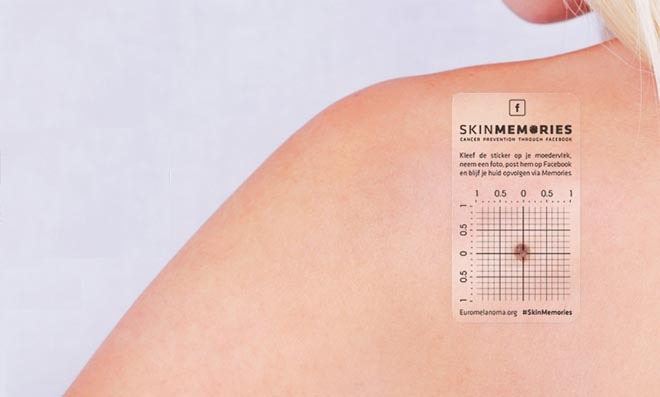 Euromelanoma Belgium is running “Skin Memories”, an interactive campaign using skin patches and Facebook photography. Skin cancer is easy to avoid and detect. Still, every 54 minutes someone dies from it, because we forget to check our skin. But we do check our Facebook timeline. Constantly. 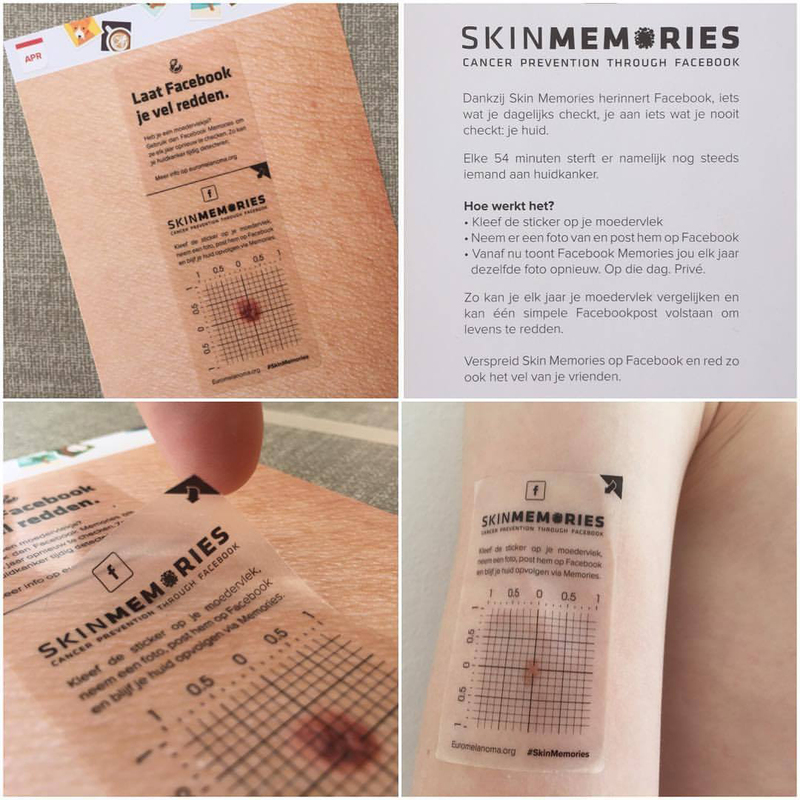 So BBDO developed Skin Memories. Transparent patches were distributed through all Belgian pharmacies. People can get a free patch, put it on a skin mark, take a picture and post it on Facebook. Facebook Memories will automatically show them the same picture again, year after year, in public or private, reminding them to check their skin and helping them to measure the growth and evolution of their skin marks. In addition, the Skin Memories posts themselves will contribute to a strengthened awareness and behaviour change. The Skin Memories campaign was developed at BBDO Belgium, Brussels, by creative directors Klaartje Galle, Sebastien De Valck, Arnaud Pitz, creatives Klaartje Galle, Gertjan De Smet, Frederic Clarysse, Morgane Choppinet, and Toon Vanpoucke.